Strange that we’re blogging about a…furniture store? NOT SO STRANGE! This secret place we stumbled upon while we were exploring DUMBO together. At one glance it may look like a fancy home decor store but in the back there is a hidden espresso/hot chocolate bar. Stop by this place for a hot drink during this freezing winter! To be honest, I have no idea how to exactly rate hot chocolate or drinks in the matter of fact. Pinky is the hot drink professional. I’m clueless when it comes to this stuff. For me, I guess if a drink doesn’t taste awfully watered down, then its okay, right? This place is pretty hidden and you probably wouldn’t expect to find it in a home decor/ furniture store. 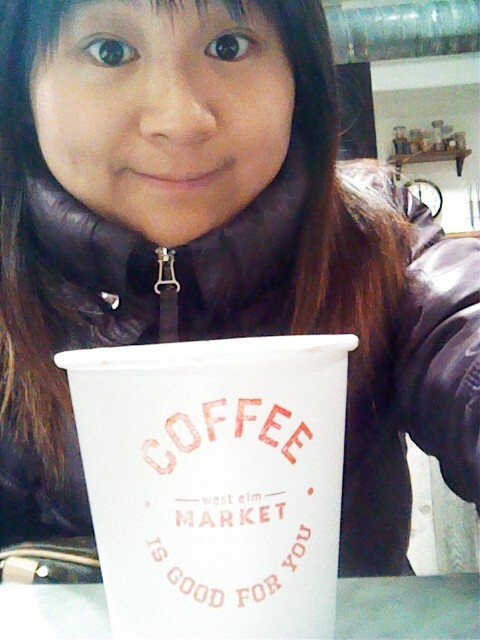 It was really cold and I just wanted something warm to drink … and hot chocolate is perfect for cold days! We had our hot chocolate delivered right to our seats, which was rather nice. They made a leaf design in our hot chocolate too! I usually thought that stuff is done with lattes or something. 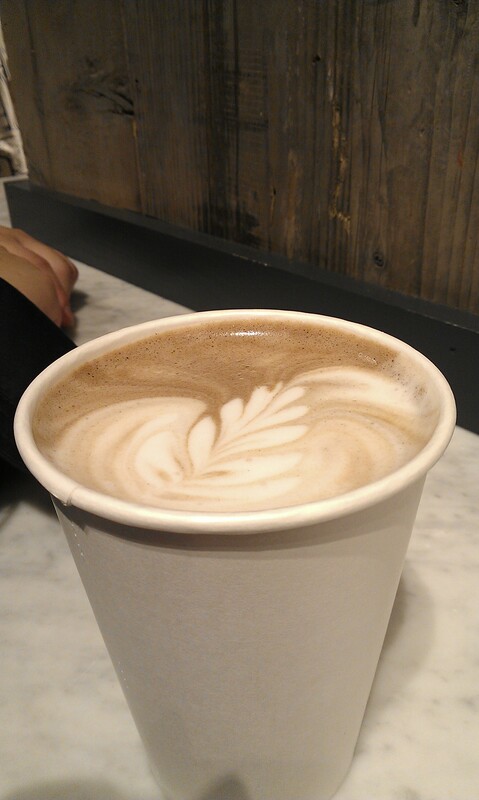 The hot chocolate was made with steamed milk… so I guess that’s how they were able to make the design. The hot chocolate itself wasn’t too sweet, but it was very foamy. Sometimes, it as a bit bitter, like cocoa bitter type, not the herbal tea bitter. I wouldn’t go out of my way to come here, but it’s nice to stop and take a break here if you’re ever in DUMBO. Okay, I might be a bit crazy to give this place a perfect score but hey how can a cafe do better than this? The atmosphere was great with all the kitchen things for sale. 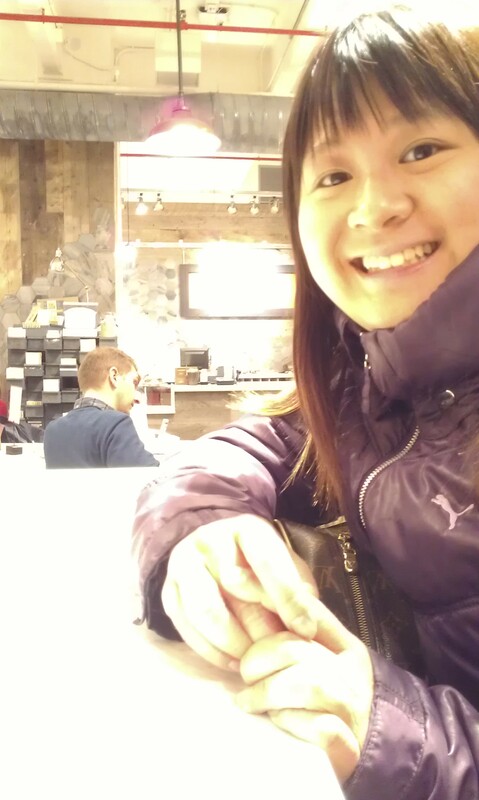 It was almost like I was sitting in someone’s real home…a home that has multiple cool and awesome refrigerators LOL. The staff was very friendly and was even making jokes with us. I really love looking at home decor stuff, just imagining what our future house would look like. 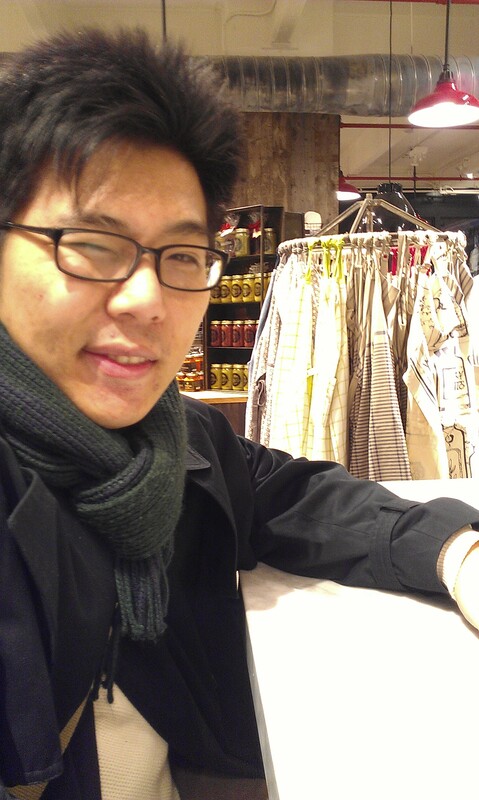 We weren’t particularly shopping for anything but it was great to have a cup of delicious hot chocolate to be by our side while we were in dreamland. The milk was steamed and it was all foamy which is my favorite! You know the foam is good when you are careful to not have a mustache after each sip. The staff even brought my drink to us directly, sweet! It is a very chill place with even a clean spacey bathroom in the back so if you have too much caffeine…you know, just in case! This is my kind of motto. Posted on February 3, 2013 by pinkytwinkieeePosted in brooklyn, New YorkTagged brooklyn, chocolate, coffee, decor, drinks, dumbo, dumbo secrets, espresso, home, hot, kitchen, latte, market, steamed milk, west elm.